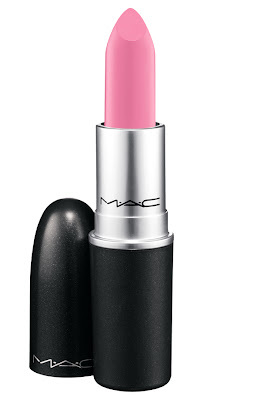 This Friday sees the launch of a new lipstick collaboration between MAC & Nicki Minaj. The lipstick is a gorgeously bright, bubblegum pink! I cant wait to get my mitts on it! Love the promo picture for this! It is available for 4 consectutive Fridays, commencing this week on the 26th and is available exclusively on the MAC website and also on the Selfridges website. This lipstick looks perfect! Will you be picking one up? Damn, it looks like Gaga :( I was hoping it'd be slightly darker. Oh well, I'll still buy it. deffo, i love a bright pink more than anything! i'm loving a bit of nicki minaj too. The lipstick shade looks so fun! Not something that would suit me, but the girly-girl in my LOVES it! I have to say, I don't really like the promo picture. but erghhhh why onlinee?! i hate p&p charges! Great post! Love the promo pic too! Followed! I love Nicki Minaj!!!!!!!!!!!! i want it!!! omg! the best post ever!